An operating mill site since 1846, Hanford Mills Museum offers guided tours and demonstrations of its historic water-powered sawmill, gristmill and woodworking shop. Over time, the Mills’ owners (primarily the D.J. Hanford family) generated power using waterwheels, water turbines, a steam power plant, gas engines, as well as a dynamo that generated electric power. Today, Hanford Mills Museum is able to demonstrate all of these methods of power generation. (See website for schedule of steam power demonstrations and weekly themes.) The Museum’s mission is to inspire audiences of all ages to explore connections among energy, technology, natural resources, and entrepreneurship in rural communities, with a focus on sustainable choices. 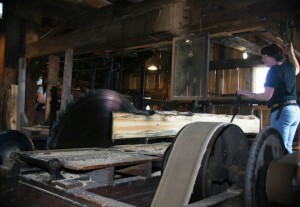 Hanford Mills’ significance as one of the last nineteenth century mills to survive intact earned it a place on the State and National Registers of Historic Places. 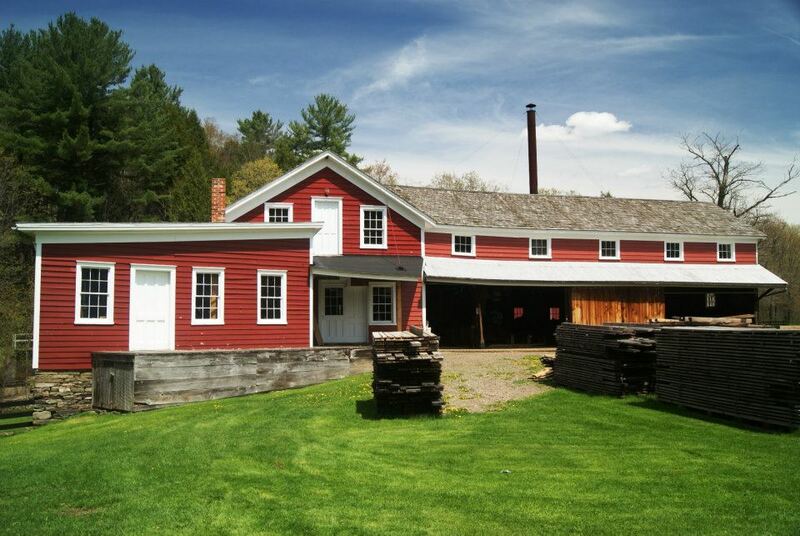 Located in picturesque East Meredith in Delaware County, the Museum’s 70-acre site also features a Feed Mill, Hardware Store, several barns, an Ice House, a Blacksmith Forge, box car, and the John Hanford Farmhouse, which shows family life circa 1920. 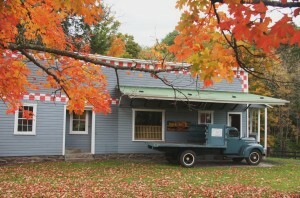 Visitors are welcome to bring a picnic, and picnic tables are available for use by the Mill Pond. You also can walk along the Museum’s rail trail and explore the peaceful waters of Kortright Creek. The Museum’s gift shop features Mill-made products, books and a variety of locally made crafts and gift items. 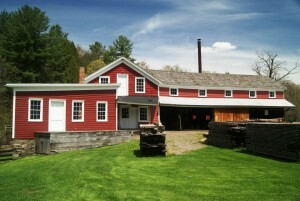 Hanford Mills is open 10 am–5 pm Wednesdays–Sundays, and holiday Mondays May 15 through October 15. The last tour of the day begins at 4 pm. Children 12 and under and Museum members receive free admission. Admission for adults and teens is $9, seniors, $7. AAA and other discounts available. Special events include the Ice Harvest Festival on the first Saturday in February, Build-Fix-Grow Festival in May, Independence Day Celebration on July 4, the Antique Engine Jamboree & Powerfest in September, and the Woodsmen’s Festival in October. Lectures and workshops on a range of topics, from Cooking with the Royal Bride wood-fired cookstove to Steam Power 101 to local history, are offered throughout the season. 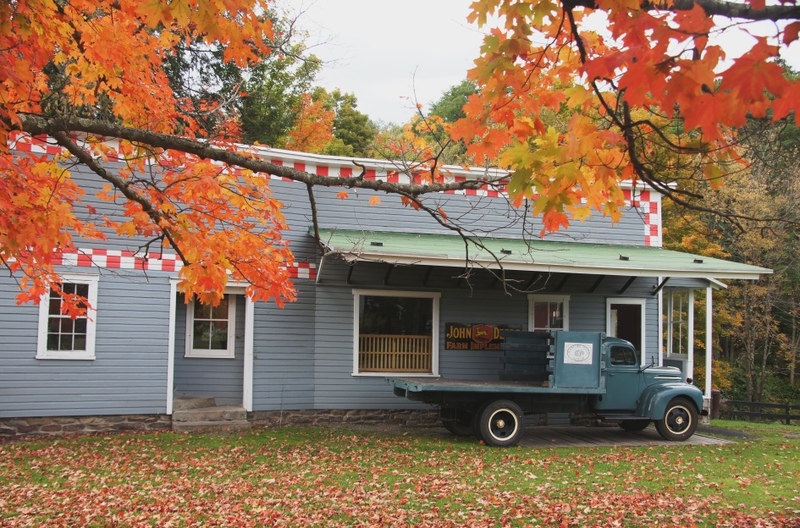 A six-minute drive from Route 28: In the hamlet of Meridale, (7 miles north of Delhi), take Delaware County Route 10/Meridale-Davenport Center Road, the Museum is located at the intersection of County Route 10 and Route 12, 51 County Route 12 in East Meredith. 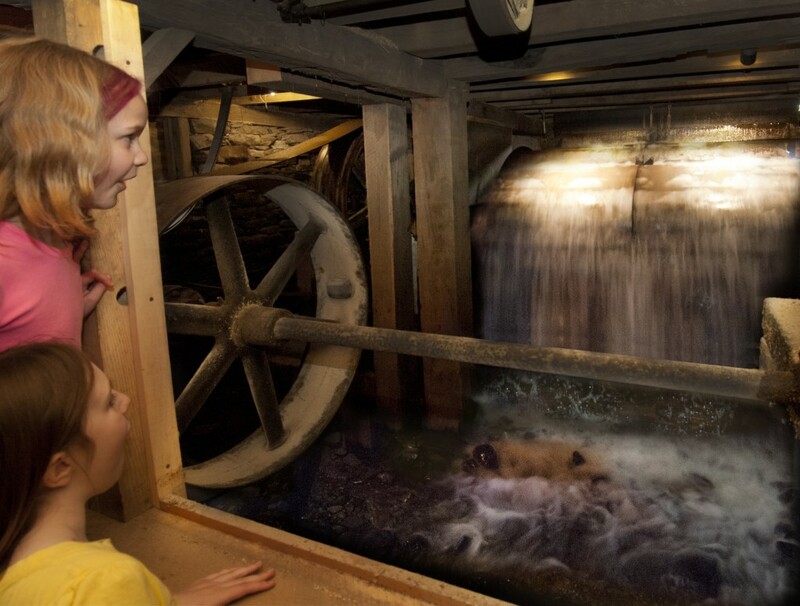 Come explore the power of the past at Hanford Mills Museum! 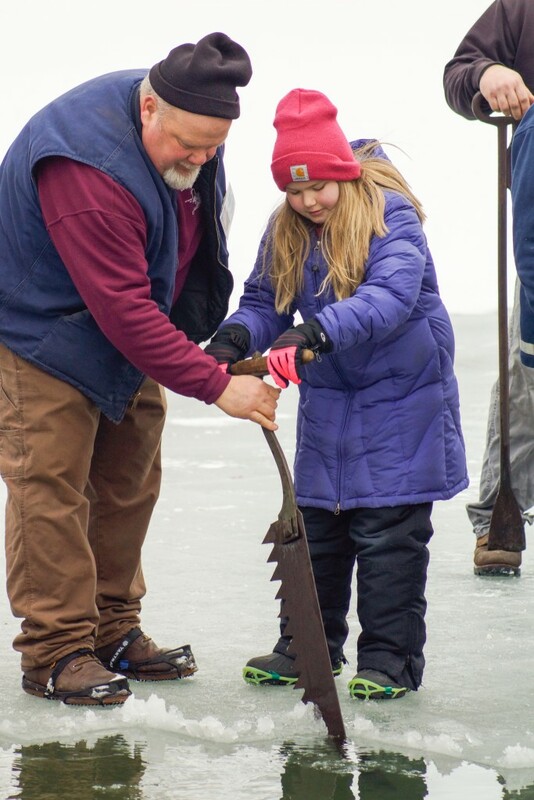 February: Ice Harvest Festival The first Saturday in February the Museum holds a traditional ice harvest, visitors can use historic ice harvesting tools, enjoy a hot soup buffet, take a horse-drawn sleigh ride, watch ice carving and historic cooking demonstrations and more. July: Independence Day Celebration. Take part in an old fashioned Fourth, with fishing derby, frog jumping contests, music, food, Mill tours, ice cream made on a steam-powered churn and more. September: Antique Engine Jamboree and Powerfest See a wide variety of antique engines and model engines, steam power demonstrations, renewable power, children's activities, food, music, Mill tours and more.